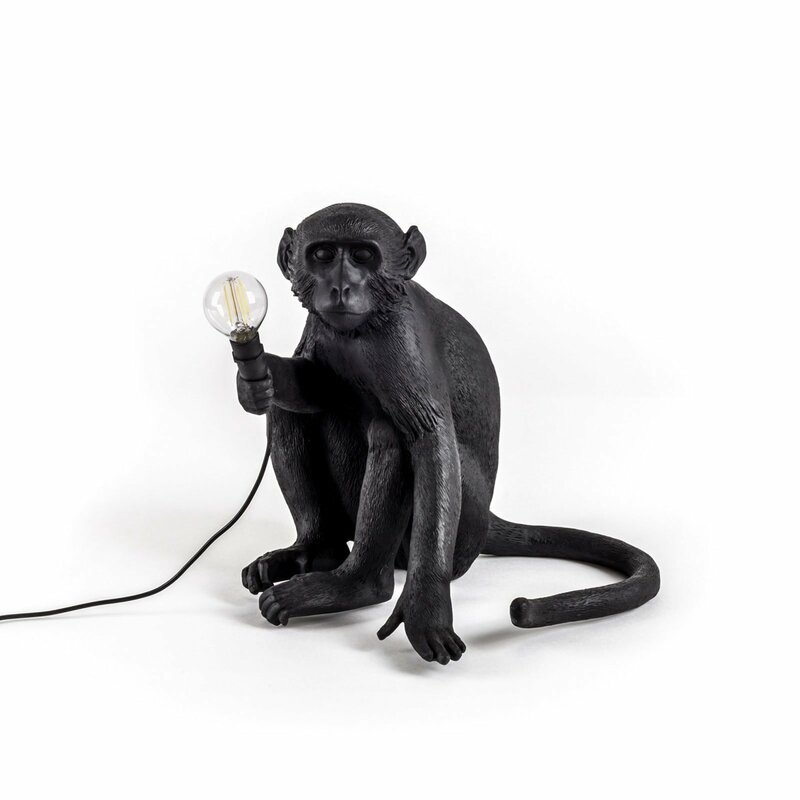 The beloved Seletti Monkey Lamp has returned in a new, upgraded version specifically designed for outdoor use. 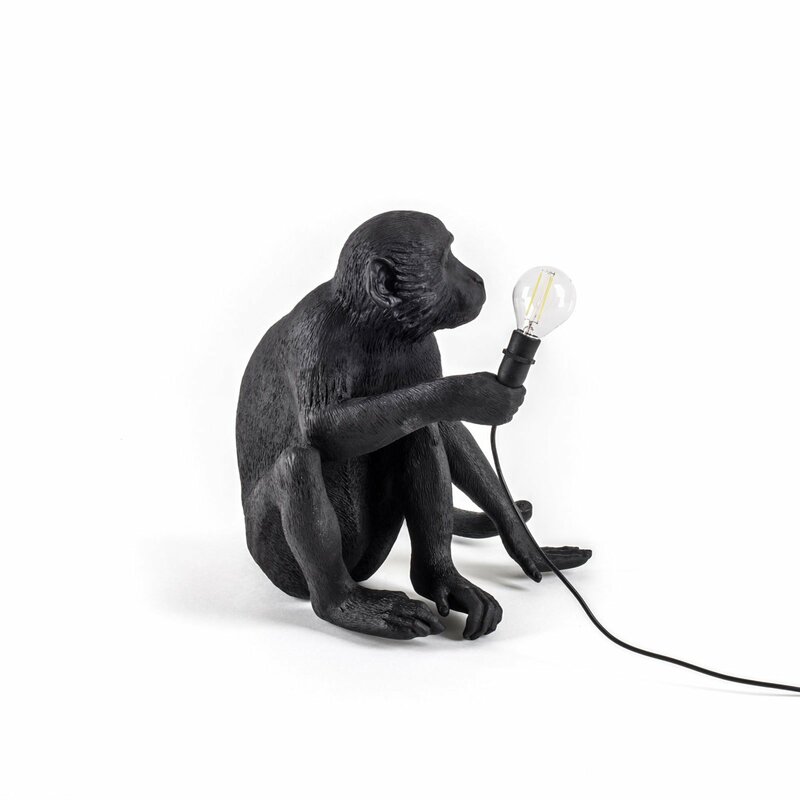 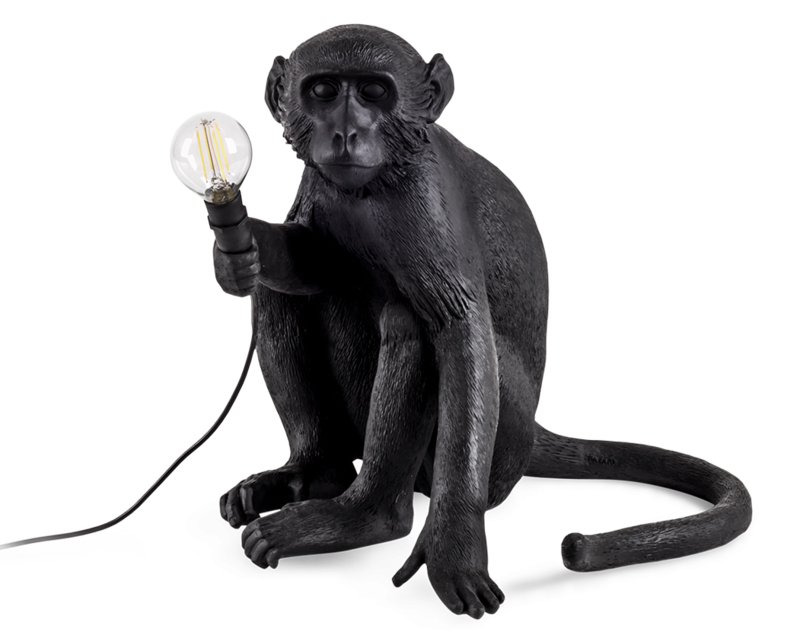 Created by Italian designer Marcantonio Raimondi Malerba for Seletti, the lamp illustrates the artist’s penchant for exploring the relationship between Man and Nature, featuring a sitting monkey holding the LED light. 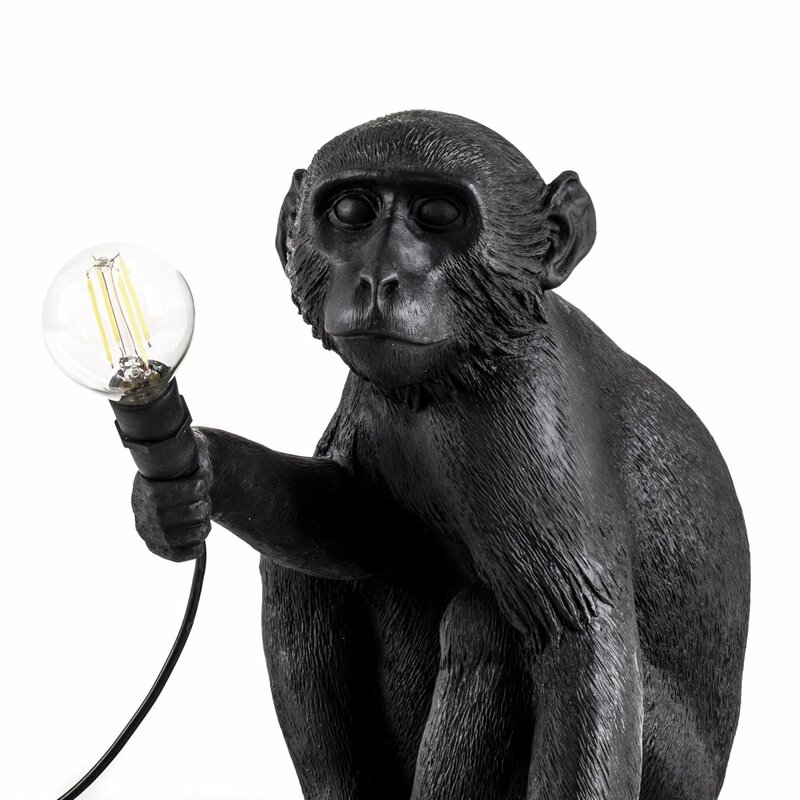 It’s a bold and eye-catching design that will stand out at any time of day or night. 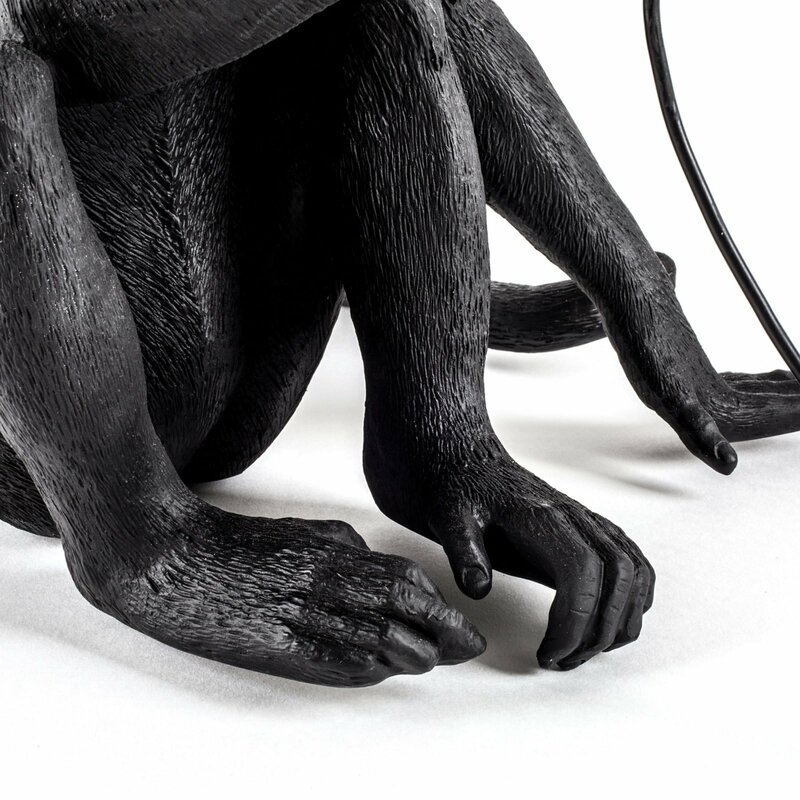 The detailed sculpture is made from resin and features new wiring and a special black paint that protects it from the elements. 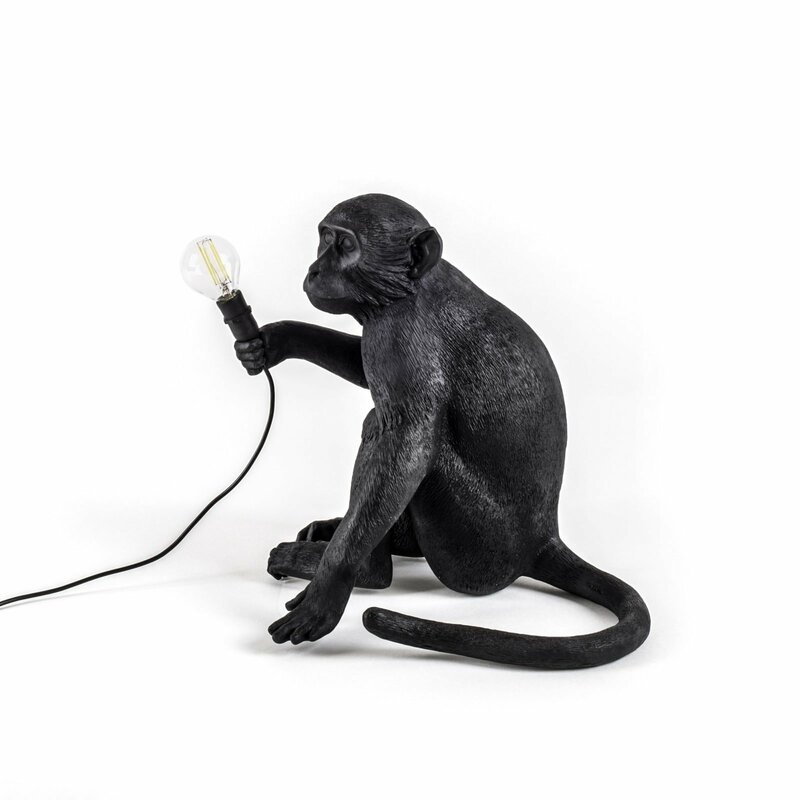 The Seletti Monkey Lamp – Sitting can be used on patios, terraces or gardens and it’s a perfect choice for those looking for creative outdoor designer lighting. 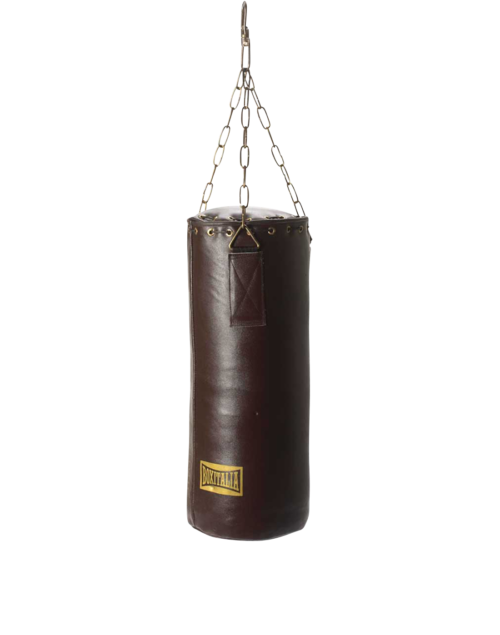 Standing, hanging and ceiling versions also available.